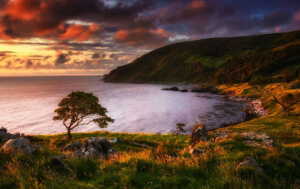 The world’s longest defined coastal touring route, the Wild Atlantic Way’s 2,500km of scenic coastal and inland trails running along Ireland’s western seaboard make it a world-class destination for cyclists of all skill levels. The route spans seven counties over six different regions, each brimming with incredible landscapes, distinct cultures and local flavours, and plenty of places to rent a bike, join a group adventure or simply set off astride your own two wheels down any of the numerous paths, trails and country roads. 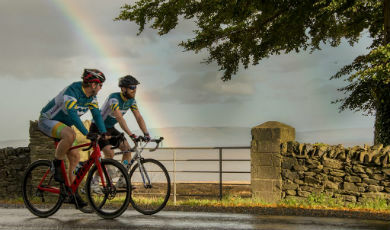 The sheer variety of route, loop and terrain to suit every level of fitness makes the Wild Atlantic Way the perfect place to host the inaugural Wild Atlantic Way Cycle Sportif, a unique bike ride that takes place over 18 days along 2,095km of the route. 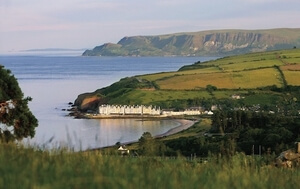 Both challenging and beautiful, this unforgettable ride passes through some of the most dramatic scenery imaginable along the coast of nine counties on Ireland’s western shoreline, starting in Kinsale, County Cork in the south and ending at County Donegal’s iconic Inishowen Peninsula in the north. The 2017 event was the first of it’s kind in Ireland, a scenic cycling course that has provided the foundation for one of the most astonishing events of a lifetime - and one you can take on yourself in 2018. 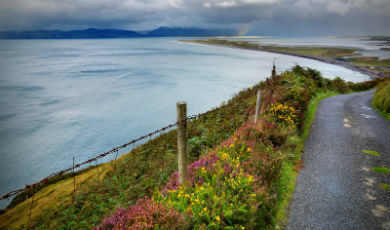 Take on the iconic Ring of Kerry with a challenging climb to the Coomakista Pass. 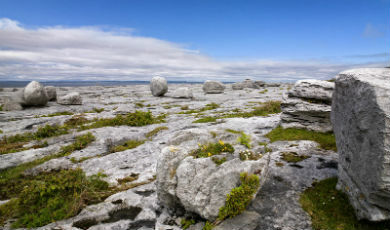 Spin across the lunar-like karst landscape of the Burren. 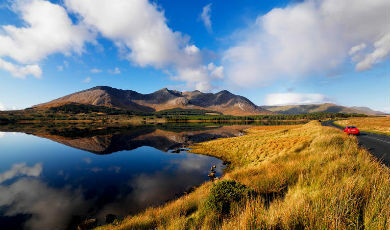 Dubbed a place of "savage beauty", pedal through the striking region of Connemara. Cyclists of all abilities are invited to take part in this leisure event. Crest hills, tackle descents, breathe in the thrilling atmosphere and revel in that unmatched sense of satisfaction you’ll experience when you reach the finishing point. 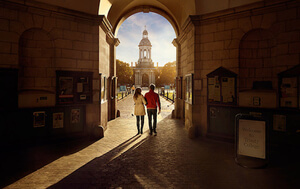 You can try the entire route on for size or take it in stages; either way, you’ll find yourself in good company, making extraordinary memories alongside cyclists from Ireland and around the globe as you soak in the one-of-a-kind atmosphere of Ireland’s west, its local culture and its people, with the majestic Wild Atlantic Way right on your doorstep. There’s no other event quite like it on the planet. With all extras provided, including meals, lunch stops, overnight accommodation, luggage transfers, bike mechanics, massage therapists, support vehicles, paramedics, and event a daily laundry service for cycling kit, all you have to do is sign up and get cycling. Don’t miss your chance to ride in one of the most breathtaking destinations on the planet and embrace the Wild Atlantic Way of life from atop two wheels. 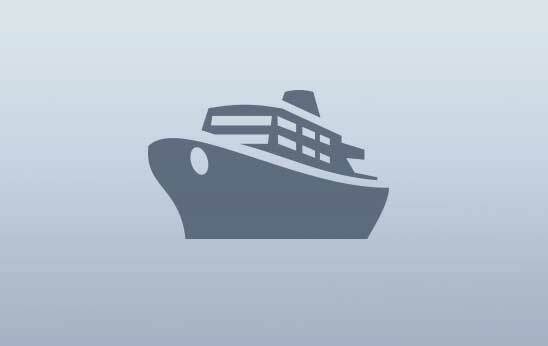 Find out more information or register for the Wild Atlantic Way Cycle Sportif. 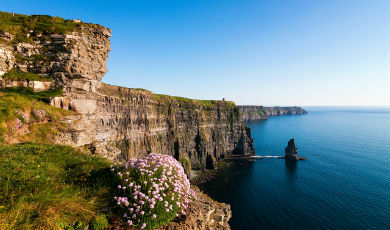 From the tip of Malin Head to the harbour town of Kinsale, the Wild Atlantic Way awaits you. 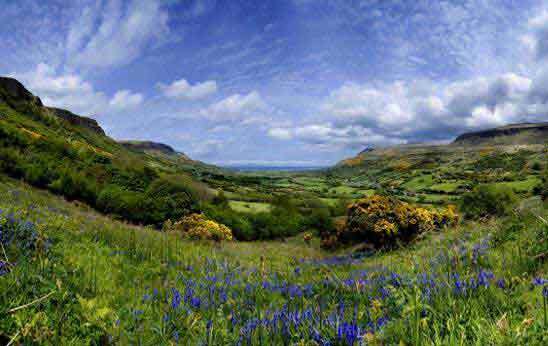 Ireland has some of the most spectacular cycling routes to suit any pace or ability.